The TCU School of Music prepares students for success whether they choose to use their vocal talents on stage, in the classroom or elsewhere in life. The TCU Concert Chorale is the University’s flagship choral ensemble, committed to the exploration and performance of the finest repertoire from the 16th century to the present. TCU Opera Studio presents fully staged productions of both chamber opera and standard, full-length repertoire in Ed Landreth Auditorium and the TCU Opera black box theater. 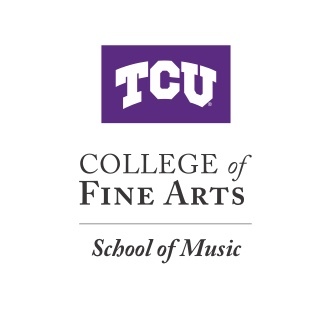 Purple, White, and Blues, TCU’s vocal jazz ensemble, is a select auditioned ensemble. Performances are often with the university jazz band or with an instrumental combo in the BLUU Ballroom, BLUU Auditorium and other on-campus venues. Cantiamo is a non-auditioned ensemble for women who want to augment their TCU education with an enriching choral experience. Repertoire, a cappella or with keyboard and other accompaniment, includes engaging music from a variety of contemporary styles. Learn more about voice study at TCU. The TCU School of Music hosts over 300 musical events each year.